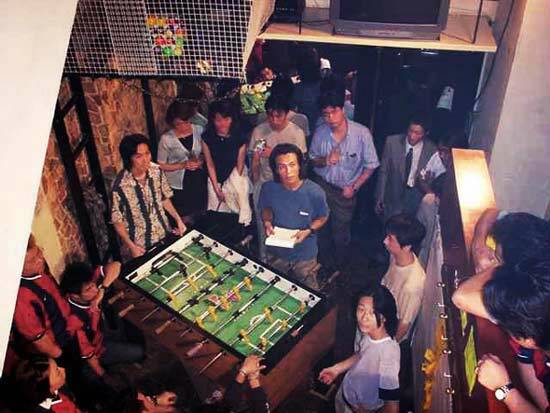 Photos of tournaments in Tokyo provided by Japan foosball promoter Joe Ueno, the first person to bring Tornados to Tokyo, and probably anywhere in Japan. 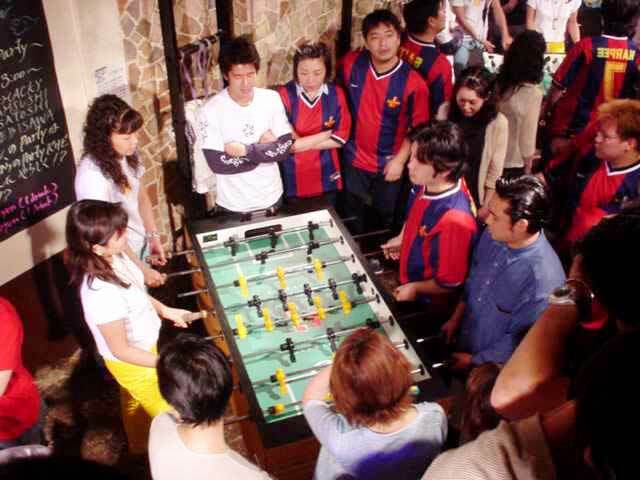 Malaysia Foosball has information on Japan Foosball Club too! Click on the "Gallery" section. Corn fields(Koenji Area):1 Tornado ; 5 min walk from JR Koenji Stn. Manager and assistant play. Visitors as well.Good condition. HUB(Kichijyouji): 1 Tournament Soccer/Million Dollar. 3 minute walk from JR Kichijoji station. ; Tournament occasionally. Managers from other Hub shops come to play. Pizzakaiya (Nishi-Azabu): 1 TS/Million-Dollar. Between AsahiTV-dori & Nishi-Azabu corner. (name? )Takadanobaba, 1 TS/Million Dollar. Tokyo 5 min. walk from Takadanobaba station. ; Lots of soccer fans particuraly foreigners. Ales Fish & Chips.